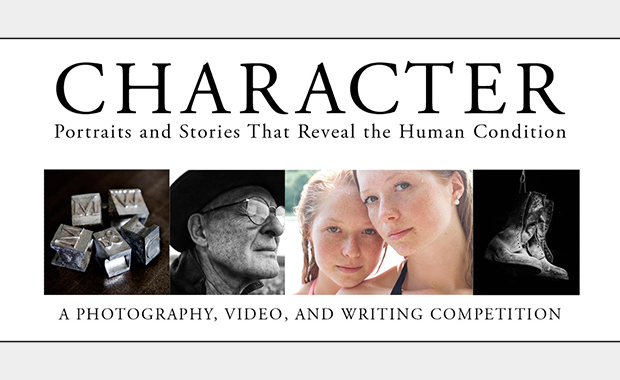 Maine Media Workshops + College presents “Character”, a photo, video and writing competition with a total of over $13,000 in prizes! The Contest is an opportunity for the international community of photographers, filmmakers and writers of all ages to present their representations of Character: Portraits and Stories That Reveal the Human Condition to a distinguished panel of judges. The prizes (including cash, merchandise and workshop tuitions) will be awarded to Grand Prize and Honorable Mention winners in categories including photo, video and writing. For centuries, portraits and stories that reveal our humanity have been a source of fascination for artists working in all forms of media – especially photography, video and writing. These visual and written stories can depict the inner spirit revealed in a face, the human condition found in an interaction, a short cinematic profile that reveals the essence of someone’s life, or a story that brings a fictional or historical persona to life. No matter what the genre, success is often found in the interaction between the maker and the subject. All photographers, filmmakers and writers of any level, and all ages, are eligible. The entry fee is $30 for submissions before 27th July 2014 and $40 after 27th July. Special youth discounts are available.